While Tokyo Game Show is usually the big show for JRPG gamers, I absolutely love E3. The diversity of games is always vast and impressive and each conferences always has something for everyone. There were some huge announcements this year, one of the biggest being the Final Fantasy VII Remake (what?! ), but it wasn't the only JRPG announced during E3. Here is a generous handful of JRPG announcements that you may or may not have missed during E3 2015. NIS America released a trailer for Disgaea 5 and revealed that it will be coming to the US Fall this year. For the trailer and a gameplay demo, watch the videos below. You can pre-order Disgaea 5: Alliance of Vengeance now from Play-Asia. 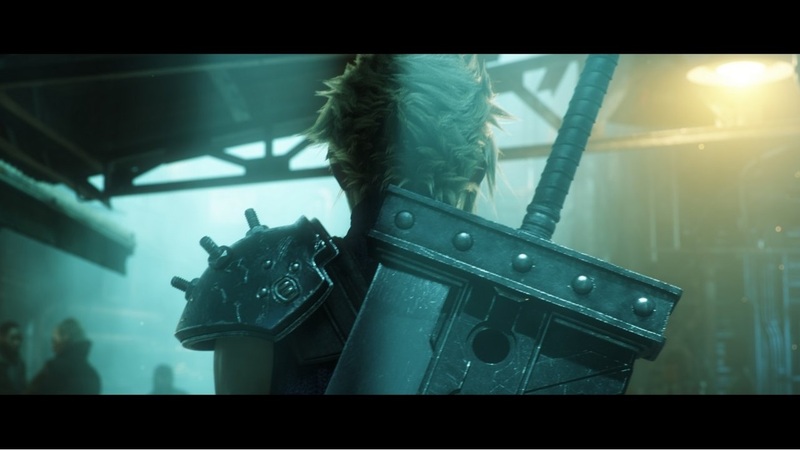 The original Final Fantasy VII game from PS One will be ported to PS4 as planned and will also hit iOS platforms. While no release date for the iOS release was given, the PS4 release of the port has been delayed until Winter. No release dates or any other information has been given, but fans all over social media are rightfully excited. You can pre-order the Final Fantasy VII Remake now from Play-Asia. Known as Fire Emblem If in Japan, Fire Emblem Fates is the sequel to Fire Emblem: Awakening and will be hitting the 3DS next year. The game is split into two installments in Japan and while Nintendo didn't explicitly state the Western version will follow suit, they did mention two versions of the new installment would allow players to fight 'an opposing force or join the other side' while commanding an army. The trailer and some gameplay footage can be watched below. A new trailer for Shin Megami Tensei x Fire Emblem was unveiled at E3, with the name 'Genei Ibun Roku #FE' seemingly being the new title for the game. The game's story will revolves around music, featuring a group called the Mirage Masters, who all share the dream of wanting to become performers. The game's daily life will take place in altered versions of Tokyo's Shibuya and Harajuku areas with the player focusing around improved each characters performance techniques. But the game isn't an Idol simulator - Mirages (the game's enemies) are fought within dungeons, with a battle system that combines gameplay elements of both Shin Megami Tensei and Fire Emblem. "The problem is, if you make it too much like a Fire Emblem game, then why doesn’t Intelligent Systems just make it themselves? The goal for this was to do something that the Fire Emblem series can’t do. In the end, the reason the game looks the way it does, the reason the content is the way it is, is because this is something we wanted to do as an Atlus game, a game only Atlus could make." The Shin Megami Tensei x Fire Emblem crossover will be released on WiiU in 2016. The trailer and gameplay can be watched below. Kingdom Hearts Unchained, an iOS and Android game, has been announced for release in the west. No release date has been announced, but it's worth mentioning that it's release in Japan is this year. The game takes a flatter, more cartoon-esque art style approach when compared to Kingdom Hearts III but will still follow Kingdom Heart's tradition of incorporating Disney worlds and characters into the game, including Snow White. Unchained is also set to tie in directly with Kingdom Hearts 3, although it has not been detailed how as of yet. The trailer can be watched below. While Square Enix may not have revealed a release date for Kingdom Hearts 3, they did show a very cool gameplay trailer with lots of action and a few worlds we can expect to be playing in. One of them includes the now confirmed world based on Disney's Tangled. The game is, as the trailer says, 'Still In Development' at this point. The trailer can be watched below. You can pre-order Kingdom Hearts 3 now from Play-Asia. Promising the be the most incredible Storm game yet, Bandai Namco released a trailer from Naruto Shippuden: Ultimate Ninja Storm 4 at E3. The trailer also announced the release window for the game as Autumn 2015. The game promises a New Generation System that allows fights to take advantage of the PS4 and XBox One's hardware for the purpose of Anime-rendered gameplay visuals, along with the ability to create your own teams from the series and a wealth of characters spanning the Naruto Shippuden story arc. Watch the trailer below. You can pre-order Naruto Shippuden: Ultimate Ninja Storm 4 now from Play-Asia. In a surprising move, it was revealed during Square Enix's conference that a new Nier game would be made. While the trailer mostly showcases some locations, music and some of the important members of the development team, we can expect more information about the game during Fall 2015. Originally a game found in Japanese arcades, XSeed is localising Nitroplus Blasterz: Heroines Infinite Duel and is due out on PS3 and PS4 later in Winter this year. The game features characters from Nitroplus' games and visual novels, including Saber from Fate/Stay Night and a guest appearance from Homura from Senran Kagura. Watch the new trailer below. A new Onechanbara Z2: Chaos trailer was revealed at E3, showing the gameplay and the English voice acting that can be expected from the game. Watch the new trailer below. You can pre-order Onechanbara Z2: Chaos now from Play-Asia. With Persona 4 Dancing All Night just released in Japan, it was nice to see some expanded footage of the English version of the game, including English voice acting and some gameplay. Watch the new trailer and some gameplay below. You can pre-order Persona 4 Dancing All Night from Play-Asia. "Persona 5 is one of our biggest titles. We have to treat it with delicacy and care. No one likes to be spoiled, and especially not with a title of this magnitude. We just don't have anything ready." Persona 5 wasn't completely silent from E3 though. Atlus released the same teaser trailer released earlier this year for Persona 5, this time with English text at the beginning. You can pre-order Persona 5 now from Play-Asia. During Square Enix's Conference, Project Setsuna was announced as a completely new IP from Square Enix and their new company, Tokyo RPG Factory. The video below features some of the beautiful art from the game, although not much else is known about the game at this point. "Countless adventures captivated us when we were kids. Now, it's time for us to return the favor with adventures of our own." Promising changes to the original battle system, Bandai Namco showed off a new trailer for Project X Zone 2 during E3. The game's producer also promised Siliconera a smoother take on the original battle system, with other features yet to be announced that will give the game added depth. For now, watch the trailer below. You can pre-order Project X Zone 2 now from Play-Asia. XSeed Games announced Return to PopoloCrois: A Story of Seasons Fairytale coming to Nintendo 3DS in Winter 2015. The game is inspired by the world of PopoloCrois, a popular manga series and is similar in gameplay to Story of Seasons and the original Harvest Moon's series gameplay gameplay. The game promises a heartwarming story about friendship enhanced by it's NPCs, farming simulation and a turn-based battle system. Watch the trailer and a gameplay clip below. You can pre-order Return to PopoloCrois: A Story of Seasons Fairytale now from Play-Asia. Another big E3 surprise was the announcement of Shenmue 3, a direct sequel to Shenmue 1, and 2. During the announcement at Playstation's E3 conference, they also announced that the game would be funded via Kickstarter (although it has more recently been revealed that Sony will also be providing support and funding). With E3 being such a huge gaming event, the Kickstarter has since been very successfully funded, blasting the $2 million dollar target in record time (even scoring a Guinness World Record) and now looking at completing their stretch goals. Check out the E3 announcement and an interview with the director Yu Suzuki below. Originally announced for PS3 and PS4, Star Ocean: Integrity and Faithlessness (known to some as Star Ocean 5) was announced at Square Enix's E3 Conference for PS4, coming to Europe and North America in 2016 (Japan will see it Winter 2015). The game will be set between Star Ocean: The Second Story and Star Ocean: Till The End of Time and is set on an uncivilized planet called Fakelead, 6,000 light years away from Earth. The trailer, which features the real time battle system, can be watched below. You can pre-order Star Ocean: Integrity and Faithlessness now from Play-Asia. Possibly heavily over shadowed by another Final Fantasy announcement was World of Final Fantasy, a new game for PS4 and PS Vita featuring characters from many different main titles Final Fantasy and miniature versions of their respective worlds. One of the interesting gameplay aspects in World of Final Fantasy is characters abilities to change size. The changing of size allows characters to become small enough to jump on the backs of enemies or vice versa. The game features classic RPG mechanics and also the ability to capture enemies. Watch it's cute trailer below. The anticipated Action RPG Xenoblade Chronicles X has been given a release date for the localised version of the game. While the game was released in Japan in April this year, the localisation has been announced as December 4th 2015. The English trailer, featuring mechs and a beautiful world, can be seen below. You can pre-order Xenoblade Chronicles X now from Play-Asia. The Japanese anime and video game sensation (seriously guys, it has it's own toilet paper in Japan) Yokai Watch will finally be hitting the US during the holiday season, according to Nintendo's E3 announcement. Watch the English trailer below. Let me know what you're most excited for and why in the comments below! Or just type out your Final Fantasy VII Remake enthusiasm and/or send a tweet to @JRPGJungle and follow if you want to keep up with my content. Thanks for stopping by! Note: This article does contain multiple affiliate links. You can read JRPG Jungle's Affiliate Link Policy here.